Millions of people are injured or killed in truck and motor vehicle accidents each year, as reported by the National Highway Traffic Safety Administration. These injuries can lead to debilitating and life-threatening conditions that place substantial challenges on the victim and the victim’s family. The lawyers of Harris Lowry Manton LLP understand the difficulties that a truck or motor vehicle accident can cause. Our capable attorneys have a proven track record of success in handling the most severe motor vehicle injury cases. If you or a family member was injured in a truck or motor vehicle accident, our Atlanta motor vehicle accident attorneys are prepared to represent you. Non driver-related accidents. Various non-driver-related complications can cause vehicle operation errors, including road conditions and car performance. In these situations, a government entity or vehicle manufacturer may be liable for resulting injuries. Our knowledgeable Atlanta auto accident lawyers understand the various complexities of motor vehicle accident cases and have the necessary resources to identify all responsible parties. Driver fatigue. This occurs when truck operators are allowed to continue driving without an adequate opportunity for rest. Driver distraction. This occurs when truck drivers allow their attention to become diverted from the road and proper operation of the vehicle. Intoxication or substance abuse. Truck drivers spend long hours on monotonous roads and highways, traveling the country. If a driver is found to be drunk or high at the time of the accident, we will use that evidence to build your case. Poor vehicle maintenance. When truck owners and operators fail to maintain their trucks in an adequate manner, they are responsible for any resulting injuries. Defective parts. 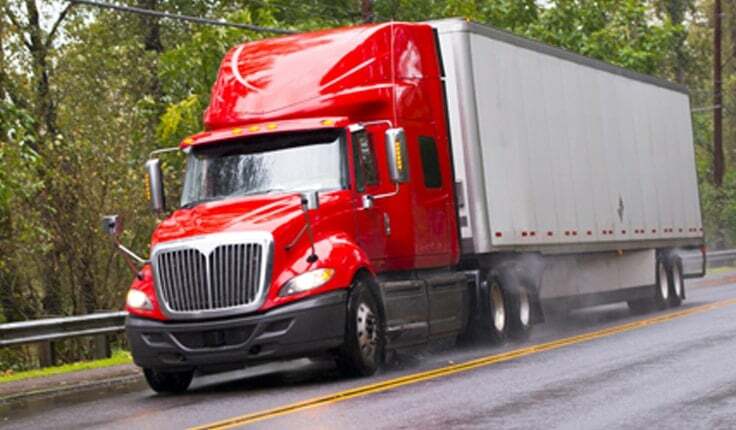 Faulty gear shifters, defective air brakes, tire blowouts: a defective truck part can lead to a collision with a truck in the time of a heartbeat. Dangerous roadways. Driver must navigate the roads in inclement weather, and must be made away when roadways could be unsafe. HLM assist Georgia driver who wish to file a claim against the local, state or federal government when applicable. Improper loading. An unsecured cargo load can lead to serious truck accidents, as it can fly off of the back of, or out of the top of, the truck. This debris can hit other drivers, or it can litter the roadways, rendering them unsafe. Speeding and reckless driving. Many professional truck drivers are paid by the mile, and there is intense pressure to pick up the next load of cargo. These unreasonable time restraints can lead to speeding or reckless driving. Our knowledgeable Atlanta truck accident lawyers are familiar with the complexities of truck accident cases and are ready to represent you. If you or a loved one has been involved in a motor vehicle or trucking accident in Georgia, turn to HLM. We have built a reputation of success within the legal community by diligently pursuing positive verdicts and settlements for our trucking and auto accident clients. Put our experienced Atlanta motor vehicle accident attorneys to work for you. We welcome referrals from legal professionals, as well as direct client inquiries. Call our Atlanta office at 404-998-8847 or our Savannah office at 912-417-3774 to schedule a free initial consultation. You can also complete our contact form.